Lots of new restaurants have opened up this November and December! I was also in Singapore for a short while and got to visit some lovely cafes like Curious Palette. I’m also currently enjoying a short but lovely resort life in Koh Samui – though I’m expecting to be too lazy to get out of my hotel room and explore food this time round! Le Garcon Saigon is one of the latest Vietnamese restaurants to join the diverse dining scene in Hong Kong, located near Star Street. They focus on the less mainstream dishes and not at all on beef pho. I loved their Banh Xeo and they also serve amazing desserts. Read the full review here. Tetsu is the newest Japanese tsukemen ramen shop to open up in Causeway Bay. I loved their super al dente noodles and thick flavourful soup. But that’s only if you’re willing to wait… The queues look ridiculously long almost every time I walk past. Read the full review here. 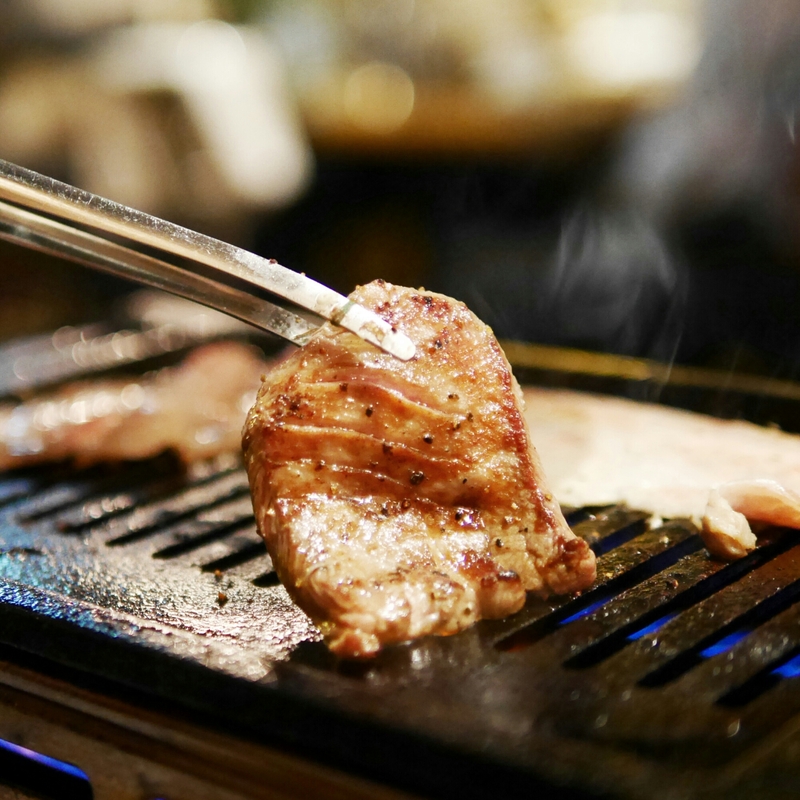 YakiniKuu is a yakiniku (no surprise) joint opened by the same guys behind Sushi Kuu (featured in Best Places to Satisfy your day-to-day Sushi Craving) and their bbq items are no less impressive than their sushi. Be sure to order the thick cut beef tongue, which was especially a landmark item of our dinner. The Optimist is opened by the same guys as Pirata (which I loved) and also located in Wan Chai. Their menu items looked interesting – baked camembert, eggplant fries etc., but I thought the quality of food in general was only so-so. Their cocktails on the other hand were amazing! TWENTY SIX by Liberty is not totally new but has replaced Liberty Private Works. Both new and old spots received much positive feedback and so I was just as excited to try Twenty Six. 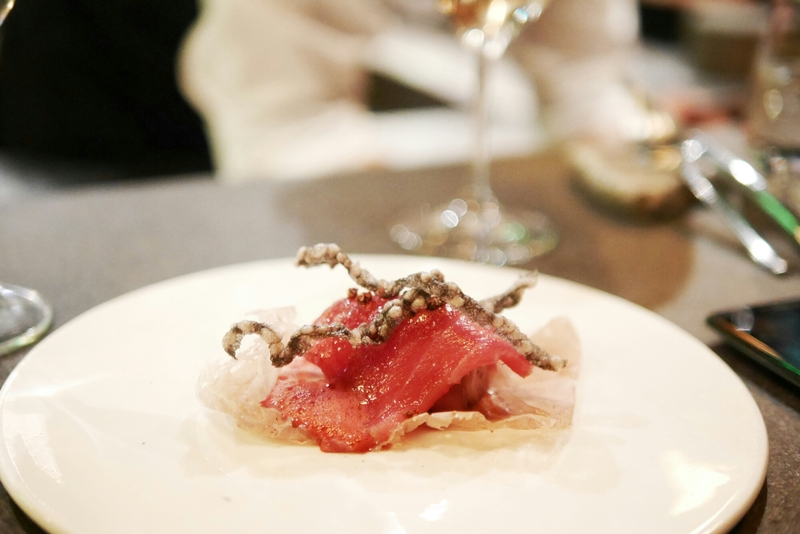 Unfortunately I never made it to sample the food of Liberty Private Works to give the comparison but I loved the experience and creative menu at Twenty Six and would highly recommend it! MeokBang Korean BBQ recently opened another branch in Tsuen Wan (they also have branches in Causeway Bay and Tsim Sha Tsui) and serve some of the most tempting seafood items – a whole octopus!? It was definitely one of the better Korean BBQ restaurants I’ve been to in a long while. The Cupping Room (Central) is not new but their new shop in Central deserves mention, as the food is possibly the best brunchy food I’ve had in Hong Kong. I thought their food was significantly better than what I had in their Sheung Wan branch a while back (see The Cupping Room: Great Combination of Brunch and Coffee). 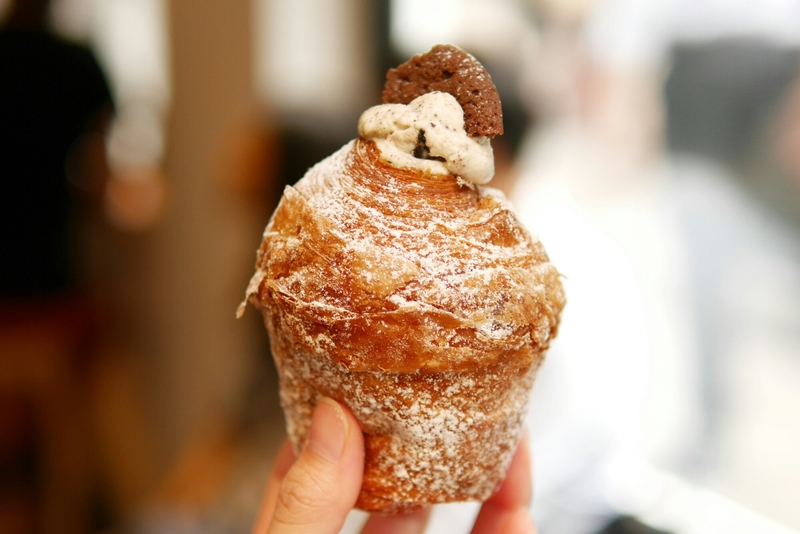 Most importantly, they sell cruffins (like cronuts) filled with delicious flavoured cream which changes daily. Elephant Grounds has another pop-up cafe in The Upper House. The special exclusive ice cream sandwich this time features the unforgettably delicious chocolates from Cafe Gray Deluxe (see Cafe Gray Deluxe: Fine Dining with Delicious Wines and Breathtaking view). But I think the best highlight here is the beautiful lawn you can sit in to enjoy your cup of coffee. I have been venturing out of my usual dim sum spot in Sai Kung recently and even upped the game to visit Above & Beyond which is located in Hotel Icon (Tsim Sha Tsui East). It was not as expensive as I imagined, considering it was a fancy Chinese restaurant in a hotel, with a beautiful view. 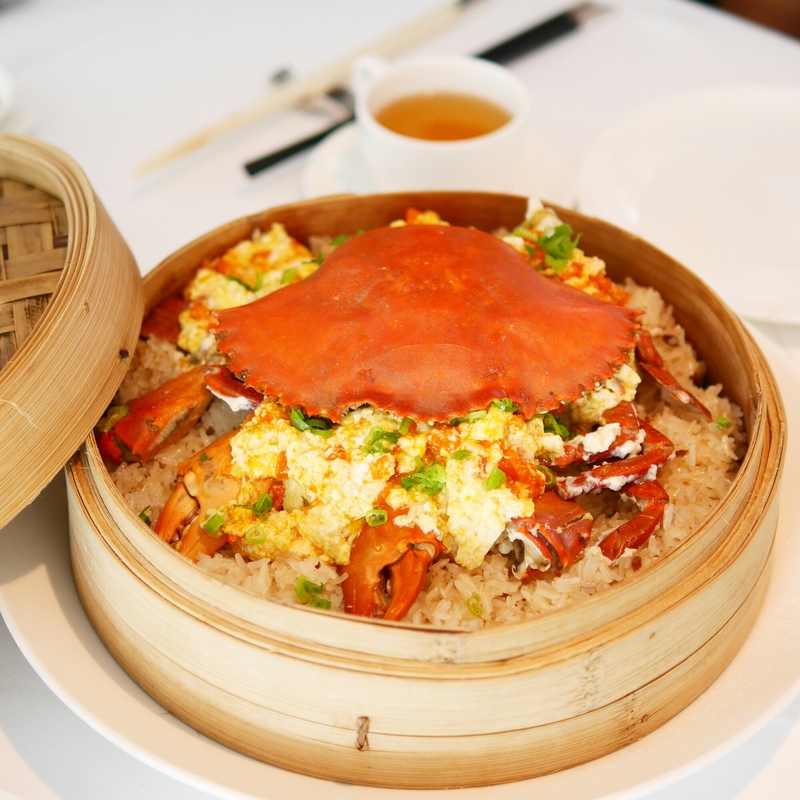 We just couldn’t resist ordering the epic looking coral crab with glutinous rice, which was really good. But if you’re here for normal food, you should get out at HK$150 per person, which I think is very decent for the quality and location. FRITES is not a new restaurant, but I’ve only just discovered their super tempting menu and delicious food. Their laksa mussels and fried camembert is enough to convince me to go again! Plus, if you’re a chocolate lover, you have to try their chocolate fondant. Read the full review here. We came to 波記燒臘粉麵店 Po Kee roast meat (located just outside HKU station) after work one day but were devastated to find that their roast goose legs (their signature) were sold out. I happily settled for their roast duck leg instead and it was so delicious! 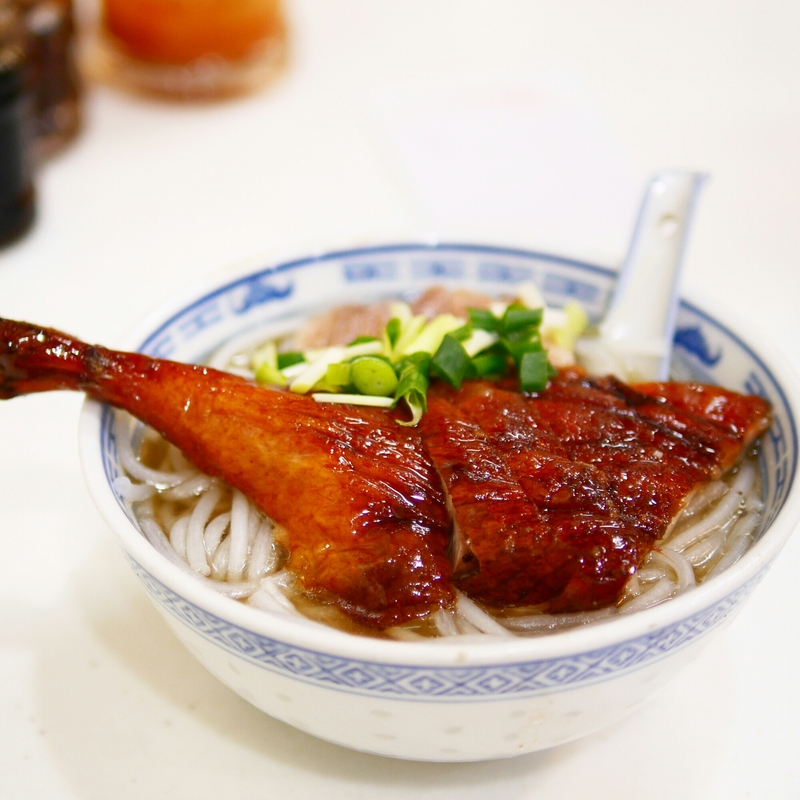 I loved the crispy skin and the 瀨粉 “lai fun” noodles were also really good. Come here early to avoid disappointment though. The hype around Lady M has died down a bit I must say and so I finally got to try out their cakes! We tried their signature Asia-exclusive earl grey mille crepe, green tea mille crepe, original mille crepe and even the cheese cake! The mille crepes were good but they weren’t really as mind blowing as the hype would suggest. It was super creamy but the crepes were a tad dry in parts. I had the cheesecake on a separate occasion and that was delicious! Read more here. Prev FRITES Belgium on Tap: Laksa Mussels? Yes Please!